Built in 2004, Hovnanian Enterprises introduced to Edgewater its Riverview at City Place. Built to cater to what are now affectionately as “Millenials”, the complex was designed and modeled after City Place in Palm Beach, Florida. The two 4-story brick faced buildings situated over exclusive retail stores and restaurants became an instant hit to young buyers who refused to give up urban life for the suburbs. Riverview at City Place filled the void for homeowners who had only to step outside their doors to become part of the vibrant shopping scene the community offers. Each of the 1 and 2-bedroom units is very contemporary in style, many with NY views and small Juliet balconies. Coupled with all the amenities of the Shops at City Place community are a hotel, a world class health club and spa and the best of shopping including The Gap, Express, Anthropologie, Pier One, Banana Republic, Victoria Secret, and well known restaurants such as Flemings Steakhouse, Panera Bread, Chipotle Mexican Grill, Baumgart’s, Greek Traverna the community has become a destination for people of all ages from communities far away. 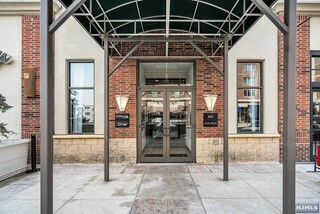 The two buildings share a part-time concierge. Public parking is provided under ground and is shared with patrons of the mall. The 116 Riverview at City Place units are all handsomely appointed with open kitchens, stainless steel appliances, granite counters, cherry hardwood flooring and matching cabinetry. The units range in size from 850 square feet for the 1-bedroom units to between 1,350 and 1,465 square feet (some with beautiful NYC skyline and Hudson River views from large windows that take advantage of the natural light. Some residences have Juliet balconies. Just outside the complex is the NJ Transit #158 bus, with service to The Port Authority in about 25 minutes. Free shuttle service is provided by Edgewater to the NYC ferry landing at the Edgewater Marina. 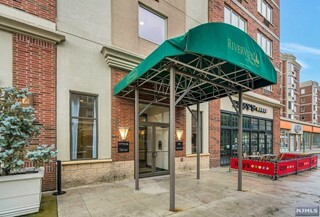 The complex is located above the City Place Shopping Mall on the south end of the town at the foot of Gorge Road and is only 3.5 miles south of the George Washington Bridge and 4 miles north of the Lincoln Tunnel. The two buildings that make up the Riverview at City Place complex share a Concierge. Underground parking is free and is shared with mall patrons.